Horse galloping in bronze by acclaimed sculptor Michael Simpson. With mane and tail flowing in the wind the artist has captured perfectly the sense of movement and the spirit of freedom. 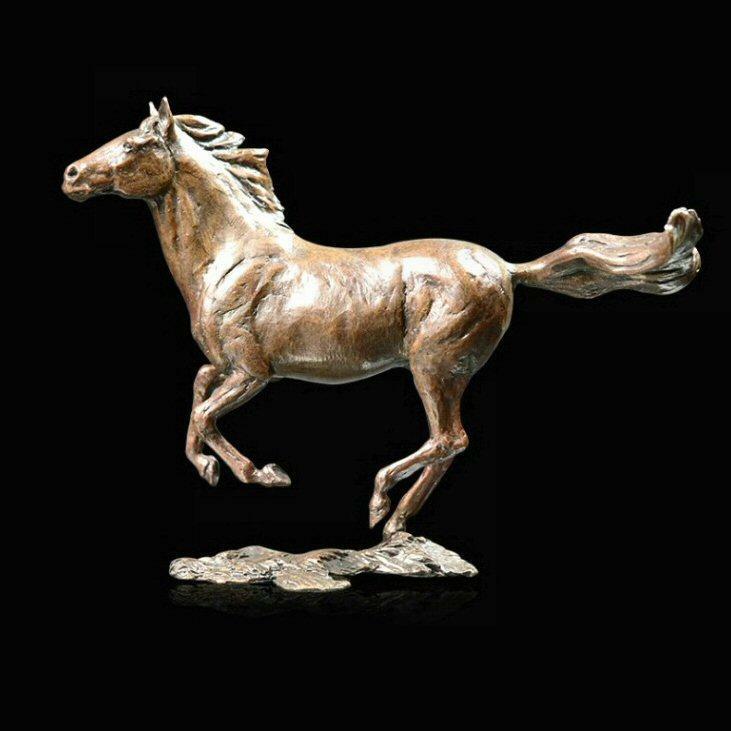 This expertly crafted solid bronze, limited edition piece shows fine form and texture and would be an ideal addition to a collection of equestrian bronzes or alternatively a perfect gift for a horse lover.